"A Bard is one who walks between the worlds." 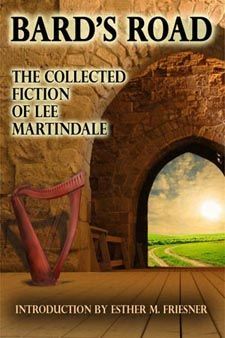 For more than two decades, Lee Martindale has walked between the worlds of fan, filker, reader, writer, editor, and publisher. As a writer, she has walked between the worlds of fiction and non-fiction, small press and major houses, print and electronic venues, magazines and anthologies, and multiple genres. Bard's Road brings together twenty-nine of Lee's short stories, from those long out-of-print to four never-before-published tales. Includes are stories that appears in Marion Zimmer Bradley's Sword and Sorceress anthology series, Esther Friesner's Chick in Chainmail and Supernaturals in Suburbia series, and many more.